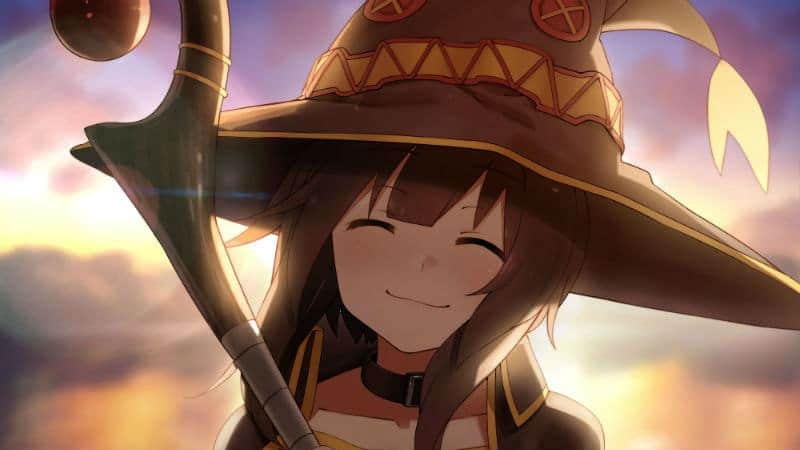 The KonoSuba movie trailer for KonoSuba: God’s Blessing on this Wonderful World! Crimson Legend just dropped and anime fans are already poring over the few details revealed. It’s the actions of Megumin which stand out since it seems like the film will be a direct sequel to KonoSuba Season 2 rather than be an original story. How do we know this? The 40-second trailer isn’t much to go on, but in the first few seconds, the trailer shows Megumin reading a crumpled letter. Unless there is some missing context, this particular scene likely comes from the beginning of light novel Volume 5. There are some changes since the ending of the second season skipped a scene with Yunyun that was originally the cliffhanger ending for Volume 4. Besides surprising everyone with an announcement, the books had Yunyun crumple up the aforementioned letter and throw it away, so it appears the KonoSuba movie will tweak certain details. Without getting into major spoilers, KonoSuba Volume 5 is called Let’s Go, Crimson Magic of Explosion! 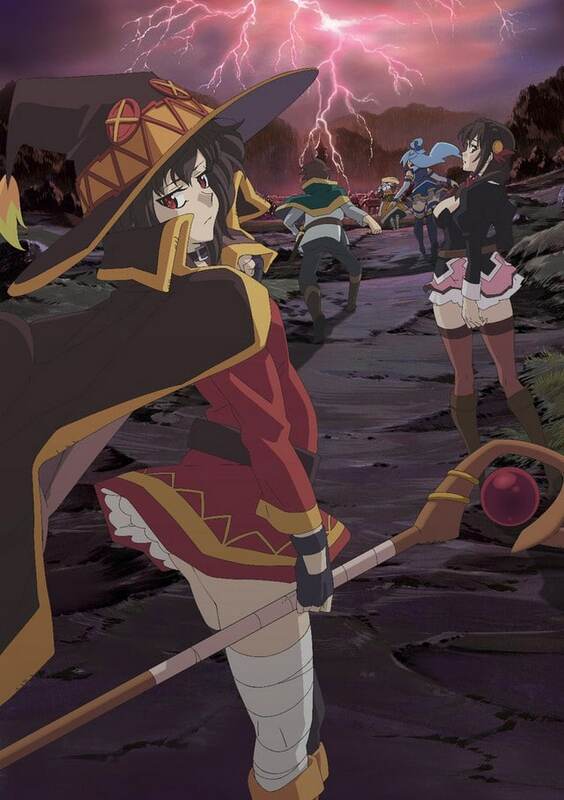 As might be guessed, the story is largely focused on Megumin and she’ll be traveling with Kazuma, Aqua, Darkness, and Yunyun to the Crimson Demon village. There, they will discover how the Crimson Demons were created and help fight back against a powerful new enemy. 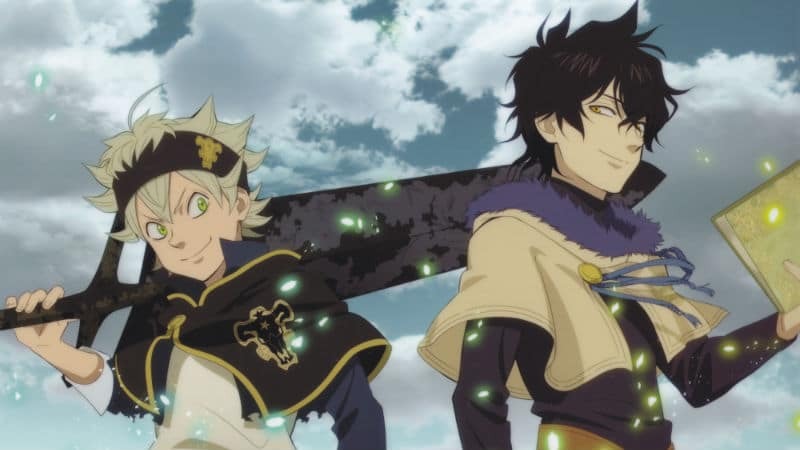 The anime series has been selling very well in Japan so it wouldn’t be surprising if another sequel is greenlit for production after the movie premieres. Assuming that Crimson Legend adapts the entirety of Volume 5, that means the eventual KonoSuba Season 3 will pick up with Volume 6. The exact KonoSuba movie release date has not yet been officially confirmed but we do know the premiere will be in 2019. However, Japanese movie theater chain Aeon Cinema briefly listed the theater premiere as being Friday, July 12, 2019. This release date was not officially confirmed and has since been taken down.